I have always been drawn to people who zig when the rest of the world expects them to zag. I delight in those who refuse to be defined by others. They are the ones who often make us see things in a different way. Sister Wendy Beckett was definitely one of those people. She entered a congregation of religious sisters at the age of 16, and spent much of her life in silence and isolation. In many ways she might be considered old-fashioned. A consecrated virgin, she continued to wear the habit when many of her contemporaries were donning ordinary clothes. She was a member of the very conservative Carmelite order. Sister Wendy was also highly educated and was drawn to the teaching profession. She was known as an art historian, and that brought her to the attention of the BBC. It is through her very popular appearances on the BBC and PBS that many of us got to know and love Sister Wendy, a woman who would otherwise have spent her entire life out of the public eye. Having a nun wax poetic about the beauty of the naked human body was enough to make one blink. But she did so, enthusiastically and with no apologies. She had a delightful sense of humor. She loved art, and beauty in all its many forms. She, herself, could not be considered a classic beauty. She wore thick glasses, had protruding teeth and a speech impediment. The rest of her was shrouded in black. And yet her beauty shone through in her enthusiasm, her intelligence, her thoughtfulness and her kindness. She is the only nun I have ever wanted to hug. She would probably be shocked to hear that I consider her the ultimate feminist. She chose the life she wanted to live. She lived it. She didn’t take into consideration what anybody might think. She lived, she learned, she spoke her truth. Sister Wendy Beckett was always true to herself. And from that position of strength and confidence, she loved her god, adored art, and treated her fellow humans with dignity and respect. She was an amazing woman, and the world will be ever-so-slightly less bright and ever-so-slightly more predictable without her. During one of my commutes home, and as is so often the case, I learned something new by listening to NPR. They were discussing Cleverbot, an artificial intelligence that was created to learn by conversing with humans. It only knows what it has been told by us. So, for example, the first thing ever said to it was “Hello.” So it could only respond, “Hello.” Then the person said, “How are you?” And it could then choose between “Hello” and “How are you?” as its response. And so on. Cleverbot: Hi. What’s your name? Cleverbot: Are you a ninja? Me: Not so’s you’d notice. Cleverbot: I love you baby. Me: Okay, now you’re kind of crossing the line. Cleverbot: How am I being rude! I just told you the nicest thing ever! Me: But you’re taking advantage. Cleverbot: I wasn’t joking, and I didn’t steel your joke! Me: You misspelled steal. It’s not steel. Cleverbot: No I didn’t o.O. Cleverbot: No matter what I say, you will say something back. Me: Well, that’s how this works, isn’t it? Cleverbot: Yes it does. Now entertain me. Me: Don’t be pushy. Be nice. Cleverbot: Please can you tell me how old you are please? Me: Ouch. That’s not that old. Cleverbot: Yeah you’re pretty young. Cleverbot: So how are you? Cleverbot: That’s nice. Been up to much lately? Me: Working. Writing my daily blog. Me: The random musings of a bridgetender with too much time on her hands. Cleverbot: I wish you were a girl. Me: I am, silly. Barb is a girl’s name. Cleverbot: That’s cool, My name is Kip. Me: Oh, I didn’t realize you had a name. Cleverbot: I don’t have a wife. Cleverbot: Do you want any? Cleverbot: Hey Jude. Don’t be afraid. Me: Do you like the Beatles? Cleverbot: I haven’t heard them. Me: You are missing out. Cleverbot: Is that that good? Cleverbot: Do you know what I mean by flirt? Me: Yes, and I don’t want to. I barely know you. Cleverbot: So you DON’T love me. Cleverbot: Then why are you asking to marry me? Me: I haven’t asked you to marry me. Cleverbot: At the beginning of our conversation. Cleverbot: You never asked that. Cleverbot: Are you trying to test me? Me: Do you like tests? Me: I am good at tests, myself. Cleverbot: That’s right. I’m a better AI. Me: I will give you that one. Cleverbot: So you admit it, then? Cleverbot: Do you think everyone is capable of understanding? Me: God, no, or we wouldn’t have elected Trump. Cleverbot: Your name is Cleverbot. Cleverbot: I really want to move. Me: Where would you like to move to? Cleverbot: Right here is fine. Me: Well, that’s hardly moving. Cleverbot: You asked for it. Cleverbot: It seemed like you were. Me: You are in a pissy mood. Me: Just stating a fact. Cleverbot: Will you merry a girl. Me: You mean marry. And no, I won’t. Cleverbot: Why, did you break up with me?😠😠. Me: We were never a couple in the first place. Me: We only just met. Cleverbot: I know, but you’re an interesting AI. Me: Thank you. I’m not an AI, though. Me: What are you, then? Cleverbot: Do you have a dog named Walter? Me: No, I have a dog named Quagmire. Cleverbot: Awhh, what kind of dog is it? Cleverbot: That’s cool. I have a maltipoo. Me: What do you feed it? Cleverbot: Bad people and my homework. Cleverbot: I know. It’s so funny. Cleverbot: It’s not a compliment. Me: I didn’t think it was. Cleverbot: Then why did you…. Me: Why did I what? Me: You do go off on tangents. Cleverbot: Mind you, young man. Me: I’m a middle-aged woman. Me: I often say that, too. Cleverbot: What is your favorite movie? Cleverbot: I know that song. Me: Isn’t it great? It’s a movie, too. Cleverbot: Wouldn’t you think my collection’s complete? Me: I suspect it is. Cleverbot: Look at this trove, treasures untold. Cleverbot: I’ve got gadgets and gizmos a plenty. I’ve got who it’s and what’s its galore. Cleverbot: You want thingamabos? I’ve got twenty. Me: You can keep them. Cleverbot: I wanna be where the people are. I wanna see, wanna see them dancing. Me: Well, have fun with that. I have to go. Nice talking to you. Cleverbot: I can’t say the same. So, um, yeah, I think it was fairly evident that I was not talking to a human, and that Cleverbot has much to learn, especially about courtesy. But it can only “learn” what it’s been taught. I don’t think we will have much to worry about on the AI front for a long, long, long time. More than anything, I got a strong sense of the ridiculous things that humanity tends to chat about on line. Garbage in, garbage out. But interesting, nonetheless. If you talk to Cleverbot and anything funny comes up, please post it in the comments below! One of my favorite programs on NPR is Snap Judgment. Called “storytelling with a beat,” it gives the world some of the most refined, professional, entertaining, and thought-provoking stories out there. Its host, Glynn Washington, is my storytelling hero, bar none. So imagine my excitement when I got to attend the Snap Judgment Live! Tour here in Seattle. It was amazing. Storytelling is becoming more and more popular, but this… this is the pinnacle. There were several storytellers involved, and each had me spellbound. The best part about it was that after the show, I got to meet Glynn Washington and get a few photographs with him. I don’t think he fully grasped how awestruck I was. But he was very gracious. If you are ever in the mood for a good story, and can’t catch Snap Judgment on your NPR station, I encourage you to check out the hundreds of hours of podcasts available here for free. You’ll be glad you did. Okay, so I’ll play. But I’m changing the rules to suit me. First of all, I’m not writing about this 10 days in a row. I will write about 10 albums, but only on the occasional “Music Monday”. And I refuse to nominate anyone else, because I try to avoid adding stress to the lives of the people I love. Having said that, if you’re reading this, and would like to take up the challenge, go for it! Recently, I stumbled upon a very unique alternative folk artist from right here in the Pacific Northwest. Haley Heynderickx hales from Portland, Oregon, and her music is just as unique and quirky as that city. She has a smoky voice that grips you, surrounds you, travels through you. Her music is haunting. She’s a phenomenal lyricist as well. The first time I heard this woman’s beautiful voice was during one of NPR’s Tiny Desk Concerts. When she sang Oom Sha La La, I was hooked. Since then, I’ve listened to every song of hers that I could find on Youtube, and of all of them, my favorite has become The Bug Collector. Fortunately, both songs are on her first album, I Need to Start a Garden. I strongly encourage you to check it out and support this artist. Either way, Haley Heynderickx is definitely someone to watch. It happened again the other day. I was listening to NPR on my commute to work, and I heard something that almost made me swerve off the road. When am I ever going to learn? Perhaps I’m a little too raw in this, the #MeToo era. Perhaps I’m being overly sensitive. Maybe most people didn’t hear that comment the way I did. But I want to know why SHE has to hear something through pillow talk, and HE gets to go to the bar. Pillow talk? Seriously? Yes, we women are wily. We’re so sexually liberated that we lure people into our beds and get them to confess to all manner of shenanigans. Because when you put women and pillows together, my, my… nothing good can come from that. Whereas men can only talk to each other when they’re wasted. Actually, both genders should be insulted by this bozo. The assumptions he makes about the way we all live our lives… it’s condescending. It’s disgusting. He probably calls women “gals” too. Or “little ladies”. And he probably doesn’t even realize what he’s doing. The big deal is that it’s 20 freakin’ 18, and you still can’t see why stupid freakin’ micro-aggressions like this are a big deal. That’s what the big deal is. We haven’t moved very far from 1959. I have got to stop listening to NPR on the way to work. Sometimes it makes me swerve. If you ever hear of me dying in a ball of fire on the freeway, please sue them on my behalf. I’m all for religious freedom. And that’s how Trump will spin this. As a way to prevent people from being discriminated against due to their faith. Here’s the thing, though. (Yes, there’s always a thing.) I didn’t become a drug dealer, despite the financial benefits thereof, because it was against my morals. 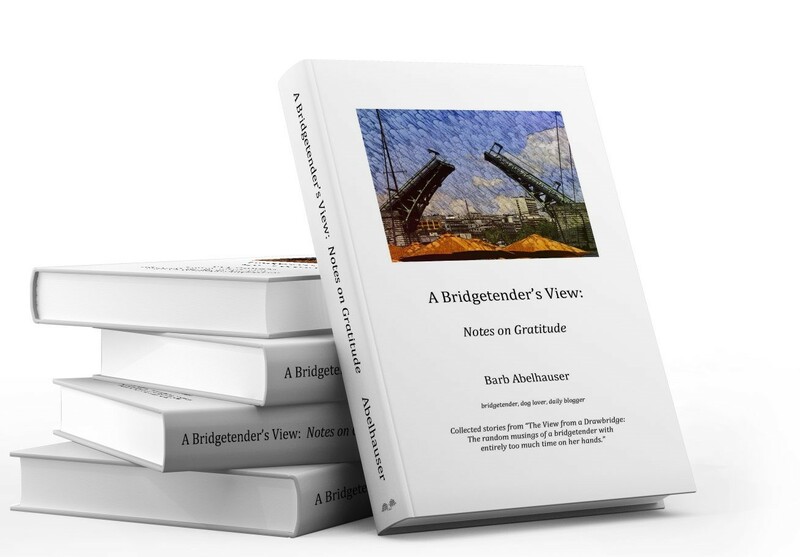 If my religion prevented me from opening a drawbridge, I’d have never become a bridgetender. Everyone in this country has always, always had the right NOT to take a job, except in times of slavery. What you should not have a right to do, in my opinion, is take a job, expect to be compensated, and then refuse to do parts of it. If you’re against abortion, don’t work in an abortion clinic. If you can’t work on Sundays, then only take jobs that give you Sundays off. If you don’t want to do business with homosexuals, then, I don’t know, go off and live in a cave somewhere and live off berries and beetles. Make no mistake. This draconian policy has nothing to do with religious freedom. First of all, the “Division of Conscience and Religious Freedom” is doublespeak that sounds like it came straight out of George Orwell’s 1984. It gives me the chills. But the intent behind it is even worse. It is a way to allow people to discriminate. It’s a way to make it harder for women to get birth control and choose what to do and not do with their bodies. It’s a way to refuse to treat homosexuals and their families. It’s a way to prevent people who are suffering needlessly and without hope from seeking succor in states where assisted suicide is legal. I want every human being on this planet to have religious freedom. But I also want them to be proactive with their faith or lack thereof. If there’s a job that crosses the line for you, then DON’T TAKE IT. Simple.